The Museum of European Cultures emerged in 1999 from the Museum of Folklore and the European section of the Museum of Ethnology. The collection counts around 250,000 objects. Its small exhibition can be seen as an introduction to European cultures for new MA Euroculture students or as a revision for “Euroculturalists”. Does European identity exist? The question has come up thousands of times during the MA Euroculture Program, but maybe only a few people know that there is a museum dedicated to it. I am not talking about the Parlamentarium, the Visitors’ Centre of the European Parliament inaugurated in Brussels which presents different exhibitions on two topics, EU institutions and EU integration, but about the Museum of European Cultures in Berlin. The latter is an ethnographic museum, which is part of the Dahlem Museums, and thus of the National Museums in Berlin. The Museum of European Cultures emerged in 1999 from the Museum of Folklore and the European section of the Museum of Ethnology. The collection counts around 250,000 objects. Its small exhibition can be seen as an introduction to European cultures for new MA Euroculture students or as a revision for “Euroculturalists”. The itinerary of the permanent collection “Culture Contacts. Living in Europe” indeed explores the cultural contactsand cultural diversity from the nineteenth century until today. A Venetian gondola from 1910 symbolically leads the way. It represents trade, migration, travel, and cultural identity. The exhibition begins with the theme of “migration”. The Earth is described with the words of the German historian Karl Schlögel as a “planet of nomads”. 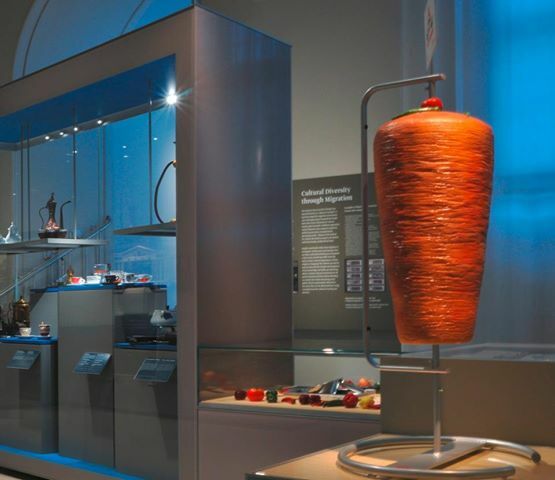 A big plastic Doner Kebab, dish introduced in the 1970s by a former Turkish “Guestworker”, is taken as symbol of cultural contacts through food. Borders: What do they stand for? What is their meaning? Another section is dedicated to cultural localisation and folklore. Typical textiles from Spain, Czech Republic and Greece are exhibited. But also music such as the traditional songs from Sardinia can be heard. Besides the “Gondola” another means of transportation – the beautiful hand decorated “Carretto Siciliano” – a Sicilian cart, stands there. Furthermore, funny cartoons show the stereotypes of all the different nationalities in Europe. The exhibition also warns about the phenomena of populism and conflicts. On the wall the photographs of the German artist Sabine Von Bassewitz, part of her collection “Unisono”, show the gatherings of different kinds of people with the same passion, standpoint or affiliation, thus exploring the meaning of community. Communities are in fact the kernel for cultural production and cultural interaction. A similar exhibition on communities could be found at the Museum of Cultures of Basel, Switzerland. Another artist, the Berlin fashion designer Stephan Hann, investigates the issue of transnationalism. He presents a particular dress named “Europakleid”, which is made of pictures, maps, textiles, and items of different origins in Europe. The Museum of European Cultures also dedicates a section to religion, in particular focusing on Christianity and Islam. It exhibits Nativity scenes from Poland, France, Italy, and Germany along with votive paintings, but also Ramadan calendars. The interactions between Muslims and Christians are highlighted. The last room is dedicated to the huge mechanical Nativity scene from the Erzgebirge. Through a scientific lens the permanent exhibition presents different items and topics, and prepares the table for discussion. On 2nd August was the inauguration of the temporary exhibition “I’m not Afraid of Anything”, which comprises ofone hundred portraits of European youths from Portugal, Moldova, Romania, Italy, Iceland, Germany and the United Kingdom, accompanied by interviews that were realised by Edgar Zippel. What are their dreams? What are their fears? Are they the same as yours? If you are a Euroculturalist, you probably won’t remain astonished by the exhibition but it is still worth it. Do as I did: go there with another MA Euroculture colleague or maybe a friend outside of the Euroculture-bubble;maybe you will find inspiration for your IP paper, Master Thesis or just for an interesting talk that you could lead with a friend who does not know anything about it. The museum poses questions. So what is your opinion about European identity? Bianca is Italian with Swiss roots. She studied BA Humanities for the study of Culture in Modena, Italy, and went on Erasmus to Malmö, Sweden. 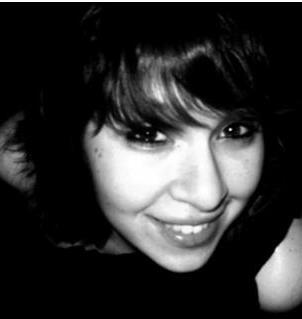 She studied in the University of Groningen and the University of Strasbourg as part of her MA Euroculture Programme. She did an internship at Interarts, based in Barcelona, Spain, in the field of cultural project management and cultural policy. Currently, she is participating in European Voluntary Service (EVS) Programme in Romania. Her interests are anthropology, sociology, artistic and cultural life and institutions, cultural management and policy, and many more. She has the smallest feet a girl ever had.